We at Karma Tribe Yoga are more than a yoga studio. We are a movement. Our mission is to transform the current modern age of isolation and disconnection into an era defined by self, communal, and global LOVE. Karma Tribe Yoga Studios provide a multitude of safe, trauma-aware, and pay-what-you-can yoga classes open to humans of all genders, races, sexual orientations, abilities, belief systems, and income levels. We believe that yoga belongs to EVERYONE and can transform your life from the inside out. Our students enjoy our welcoming community and talented, heart-centered teachers. Karma Tribe Yoga Workshops and Yoga Teacher Trainings provide students an opportunity to dive deeper into their practice. Our highly-educated teachers guide students through a multitude of yoga and yoga-adjacent subjects in an approachable way. Yoga is so much more than physical exercise and we highly enjoy introducing students to the deeper elements of the practice. Pop-Up Yoga KC and Yoga + Hiking are both programs designed to take you out of the studio and to connect with the community and to nature. We “pop-up” in parks, businesses, museums, and anywhere and everywhere you can think of in the city! Yoga + Hiking takes you to various beautiful local parks to connect with nature. Join our Facebooks groups to stay connected! Karma Tribe Yoga Retreats are an adventurous, soulful, and expanding experience! We believe traveling is a beautiful path to transformation. Whether you’re traveling alone or with friends, these retreats will connect you with other amazing and adventurous seekers. Join us all over the world! Karma Tribe Yoga Outreach is a charitable organization with the mission to provide education, resources, and support to organizations and individuals who want to provide the benefits of yoga to communities in need. 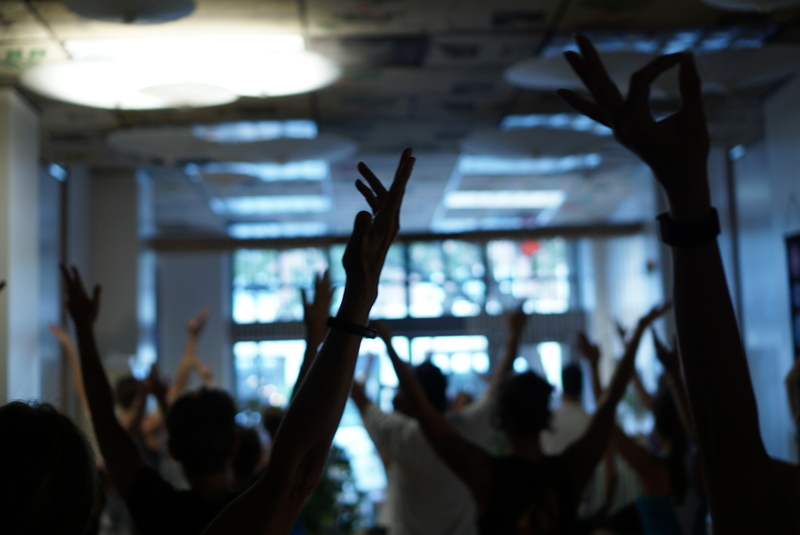 Education: We provide trauma-informed and non-discrimination trainings to yoga facilitators. Resources: We supply yoga programs for communities in need with yoga props and other materials needed for safe and effective yoga programs. Support: We connect organizations and individuals who serve communities in need with our trauma-informed yoga teachers.